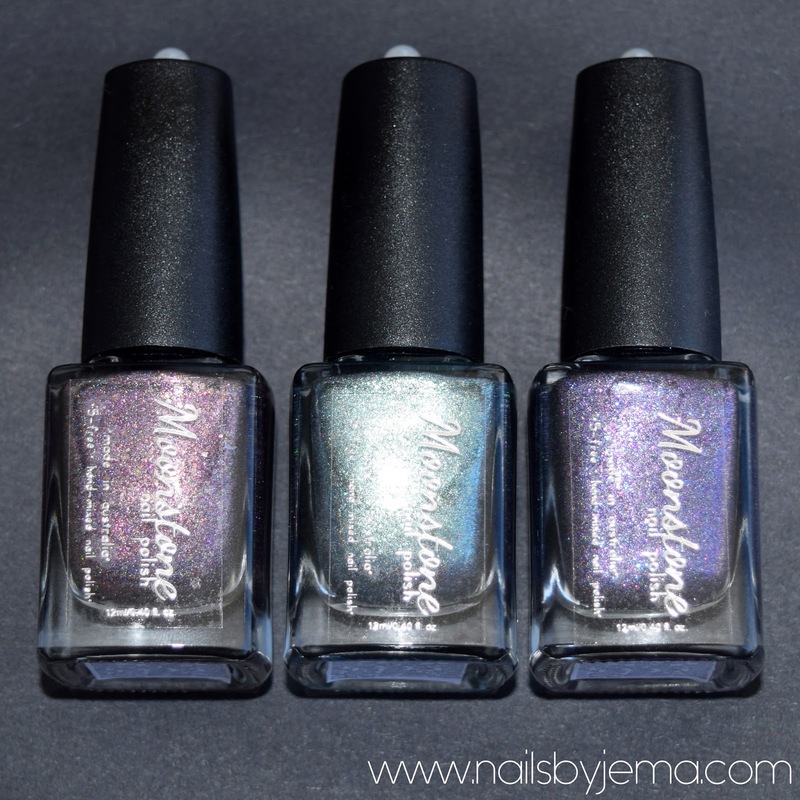 Today I have the Moonstone Nail Polish’s 2015 Halloween Trio to show you guys. This collection is inspired by the Unforgivable Curses from Harry Potter. Avada Kedavra, the killing curse; Crucio, the torture curse; and Imperio, a curse that lets the spell caster control the actions on another being. 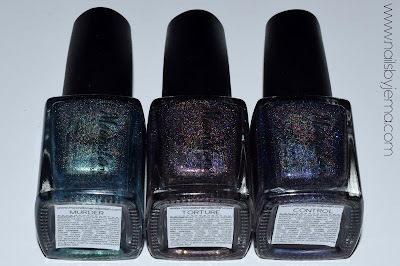 The trio consists of different holographic polishes and are so gorgeous you just want to look at them all day. 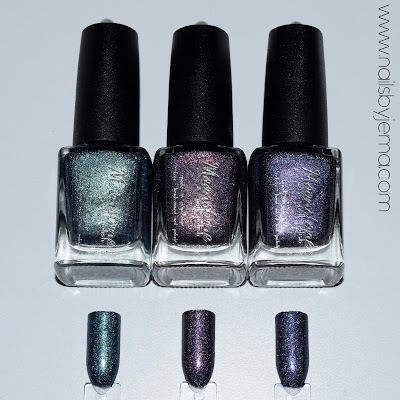 So let’s get to the swatches!